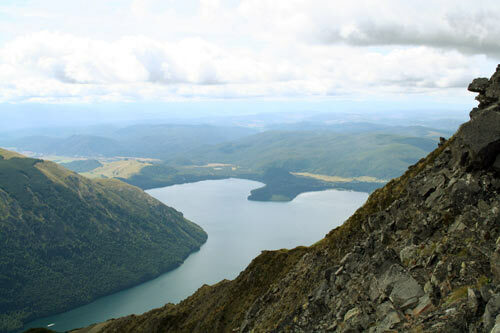 Lake Rotoiti is a small glacial lake near St Arnaud, on the edge of the Southern Alps. The lake was filled by a glacier at the end of the last ice age, about 15,000 years ago. As temperatures warmed the ice melted, and the depression was filled with water. While exploring the area in 1859, Ferdinand Hochstetter noticed evidence for past glaciation – terminal moraines that marked the former extent of glacier ice.